Generally speaking, you must start taking distributions from retirement accounts, with the notable exception of Roth IRAs not later than April 1st of the year after you turn 70 1/2 (every time I say or write that rule, I can only say to myself, "Congress..."). But there is one way you can legally and without penalty delay Required Minimum Distributions (RMD). The tax law states, in the case of qualified plans like 401(k)s and defined contribution plans, that the Required Beginning Date (RBD) for distributions is the later of 1 Apr of the year after you turn 70 1/2 or retire. Let me clarify that though, as this only applies to qualified plans at your current employer. So let's peel this back a little more. We'll start with some definitions and exclusions. Employment Status. The IRS has not taken a position on what determines an employee. So in general, if your employer considers you an employee, you are an employee. So you could work 5 hours a month and still qualify for delaying the distribution. Year of Retirement. If you retire on ANY day during the year, you are retired. Even if you work on the 31st of December and are retired at the end of business that day, you are retired in that year. Conversely, if you come in on the 1st of January to complete paperwork (on the clock) you just delayed your RBD by 12 months. Business Owners. If you are a 5% owner of the company, you can't delay your RMDs. There are a couple of key points here. To be considered a 5% owner you must actually own more than 5% of the business. But, your ownership percentage also includes any portion your spouse, children or parents own. And finally, the 5% rule appears to only apply to the year you turn 70 1/2....You do not need to retest each year. If you are in a position where you want to or need to work past 70 1/2 and you don't want to take RMDs, there are some things you can do. If you are a business owner and ultimately plan on selling your business, selling an amount to make you a less than 5% owner would allow you to delay RMDs. Just be careful about selling to family members. If your ownership increases later, that is o.k. If you've already sold a good portion of your business, this makes even more sense. If you're an employee and you want to keep working in your field but at a reduced level and part-time with your current employer isn't an option, there is a solution...although it is pretty aggressive. Stay with your current employer until you're past the year you turn 70 1/2. As you're getting close to the time you want to cut back your hours, start a business. Set-up a 401(k) in your new business. Start working part-time there and transfer your 401(k) funds from your current employer's 401(k) to your new 401(k). Stop working at your current full-time job. Again, this is an aggressive play and you'll need to structure your new company correctly so that you are an employee, but it can be done. This is due to the fact that the 5% rule only applies to the year you turn 70 1/2. Right now you may not think you'll want to keep working past 70 1/2 and that may hold true. 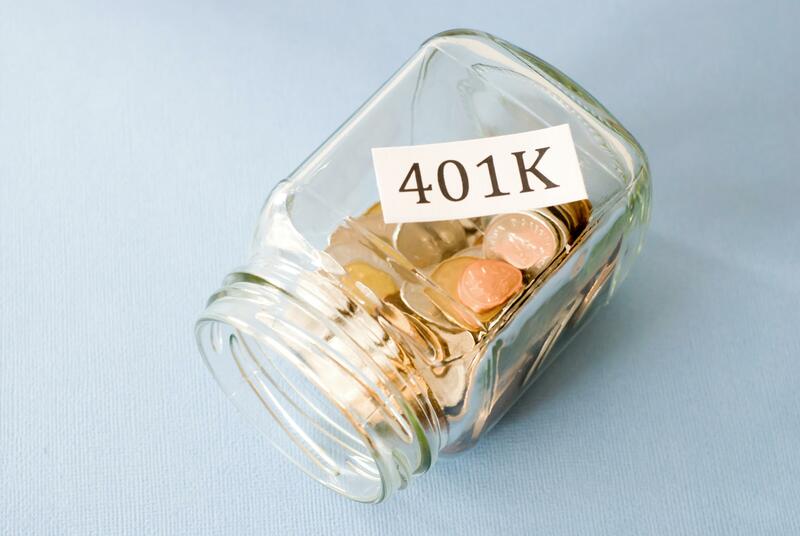 You may also find that you need the 401(k) funds for living if you're not working full-time. But, some of you may find yourself in the position when you approach 70 1/2 where you do want to keep working and you don't need the money. If you do find yourself in that situation, you can keep the IRS's hands off your money.